What makes it special: The Volvo PV is a series of two-door, four-passenger models made up of the PV444 and the PV544 from 1947 to 1966. 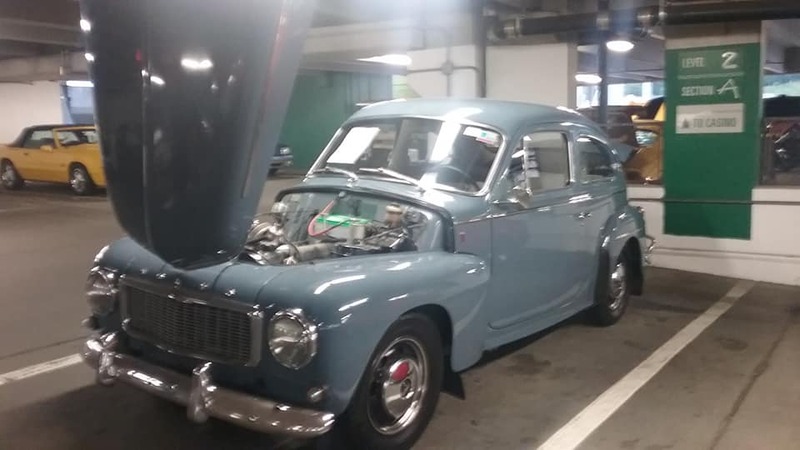 During World War II‘s early stages, Volvo decided that a new, smaller car that could deliver good fuel economy would assure the company’s future. A raw materials shortage during the war drove home the point that an automobile should be smaller, and also complicated Volvo’s ability to mass-produce the product. In 1944, when the car was finally introduced, response was very positive and orders poured in from the Swedish population. It was another three years though, until 1947, before series production began. What made it famous: In 1958, the PV544 was phased in. Subtle differences included the introduction of a curved one-piece windshield to replace the two panes of flat glass, larger taillights, and a ribbon-type speedometer. The next significant change occurred when the B16 was replaced by Volvo’s new B18 engine, initially developed for the P1800 sports car. This 1.8 L engine had five main bearings. Single and twin carburetor versions were offered, designated B18A and B18D, respectively. A 3-speed manual transmission was also supplanted by a 4-speed unit in the 544. Why I would want one: I’ve always loved these. They have the looks of a 1940’s era American car, but have the sound and performance of a sports car. Fun fact: The PV quickly earned a reputation for being strong and rugged, although the design was considered outdated from early on. The PV also competed successfully in the American SCCA class but also internationally, with a second-hand PV544 memorably winning the Safari Rally in 1965.